Crumbles | Natural Patches of Vermont, Inc. 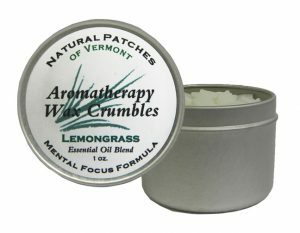 Announcing our New Aromatherapy Crumbles! A wholly new concept on providing in-home aromatherapy and the ideal complement to your Natural Patch Essential Oil Body Patch experience. Aromatherapy Crumbles are a true innovation over typical fragrance tarts and melts, having been specially designed to allow you to personalize the intensity and duration of your essential oil experience to your personal needs. 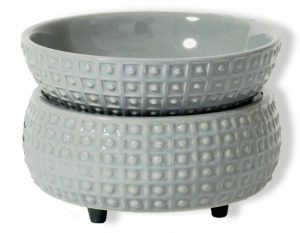 Most fragrance tarts available today are cast as large single blocks, using various combinations of oils and fragrances. 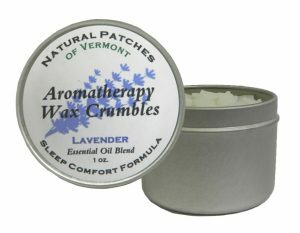 Natural Patch of Vermont® Crumbles are formulated with PURE natural essential oils, using the same carefully-crafted blends as our Patches. Crumbles contain no artificial colors, nor fragrances, providing a genuine aromatherapy experience. How to use Crumbles: Open your Crumbles container and the internal protective bag. • Using a spoon, measure the desired amount of Crumbles into your tart warmer. (We suggest starting with a spoonful) • As the crumbles melt, they’ll quickly release the same wholesome aromatics as our Natural Patches Essential Oil Body Patches! 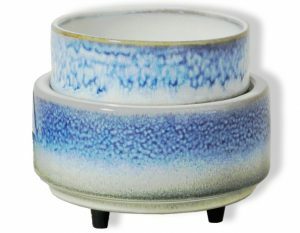 We are stocking a selection of high quality, electric ceramic warmers to ensure that you don’t miss out on the Crumbles Experience! 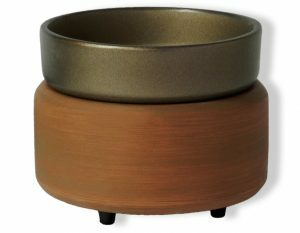 Each warmer is economical, operates on standard 120v household current, and are safer than older, candle-powered open-flame warmers. They make a great gift. Add one to your order today!